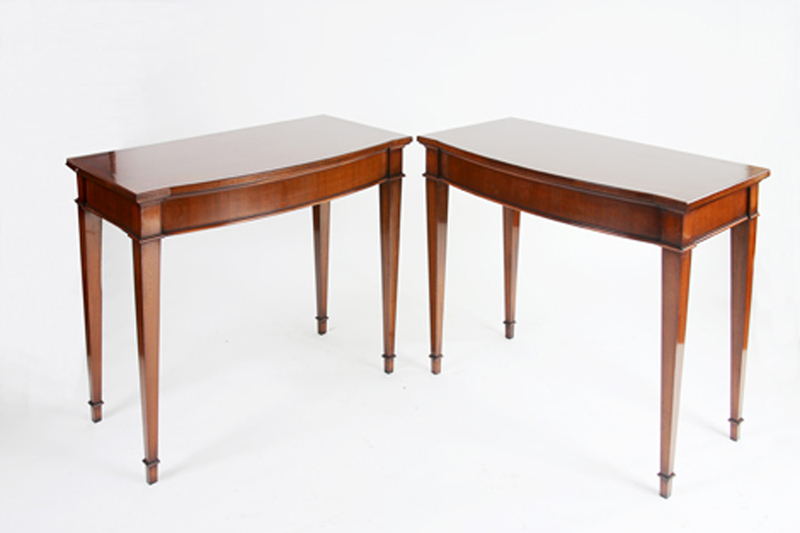 A pair of very fine bow fronted mahogany console tables. They were made with a cross-banded edge and frieze with ebonised stringing. 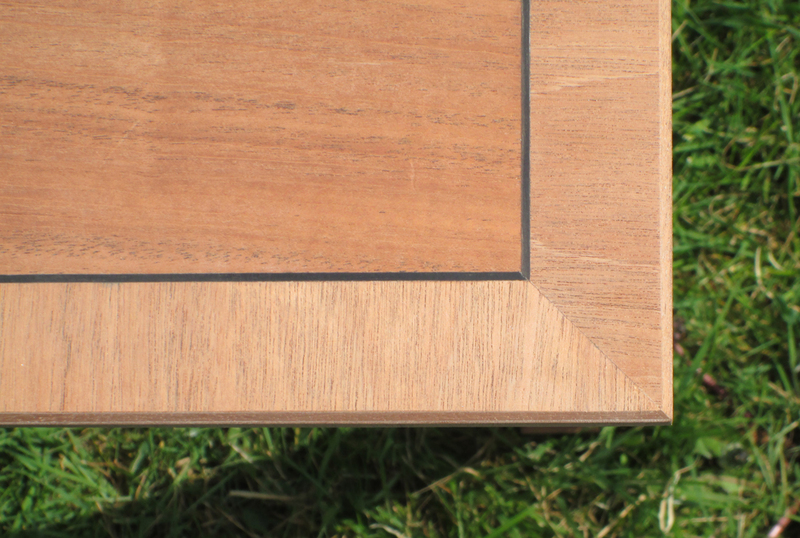 I was lucky enough to be offered a piece of mahogany found in a retired cabinet makers workshop that was being bulldozed for a housing development. 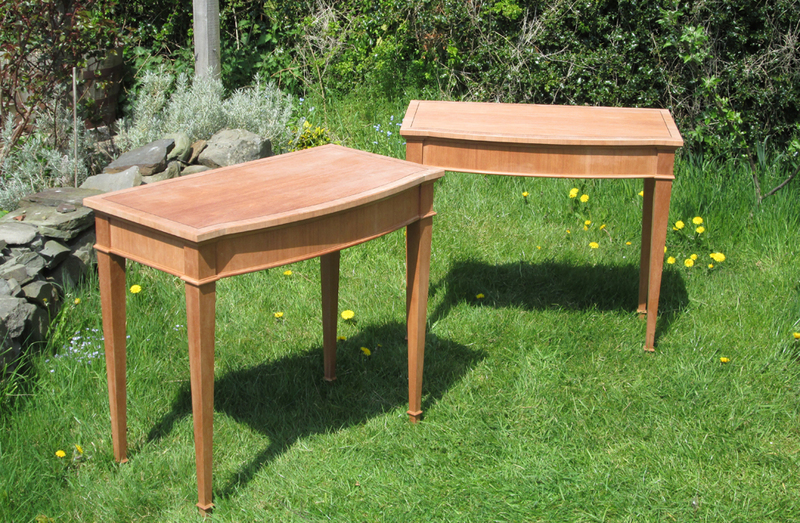 They were designed and finished by Rupert Bevan Ltd and you can see more images on their website at RupertBevan.com. Like this? Why not get in touch with Mark to see what he can create for you?